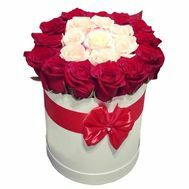 Roses in a box are a special gift, which recently appeared in Ukraine. 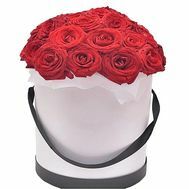 This fashion trend has come to us from far abroad. 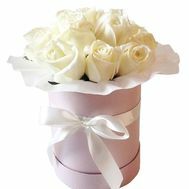 Flowers, as you know, will never go out of fashion, and will always be considered the most pleasant gift. 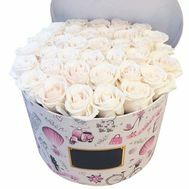 And if these flowers are in a round box, decorated in a special way - this will give them a charm and gloss, and the gift immediately turns into a fabulous, carrying magic. 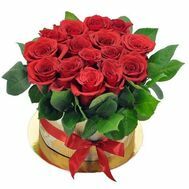 As a rule, it is the beautiful roses that become the filling for the boxes, because they are the most popular and the most beautiful. 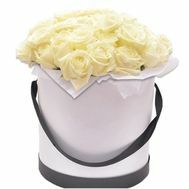 It is necessary to open the lid - and from there you look at luxurious and dense buds, as on selection. 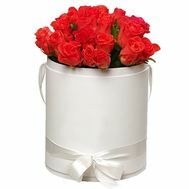 You can buy roses in a round box at the most acceptable prices in Ukraine. 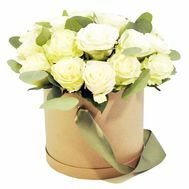 Flowers with home delivery is our way of bringing you closer to the right person! 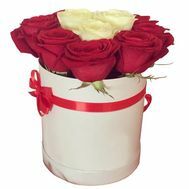 A box of roses created by florists is an original and convenient gift. 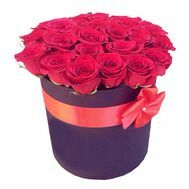 It can be send on a date, in a cafe, in any place far from home, where there is no way to put flowers in a vase.. 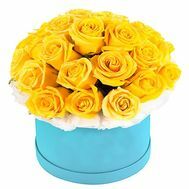 Unexpected and pleasant surprise: a box of flowers will be an excellent present for any person, starting from the class teacher on Teacher's Day, finishing with the mother on March 8. 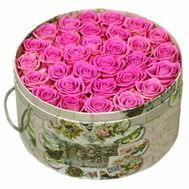 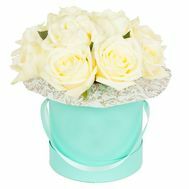 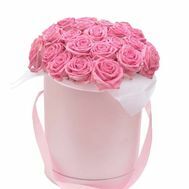 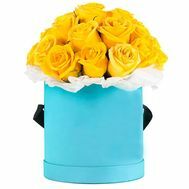 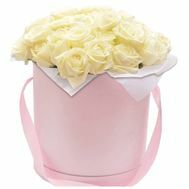 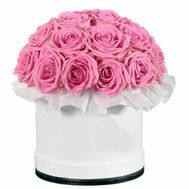 Roses in a round box can be bought even without reason, just out of the ordinary desire to please and surprise. 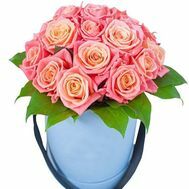 Our florists responsibly approach to the creation of such compositions, selecting color palettes and buds in a precisely verified order. 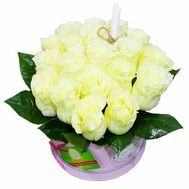 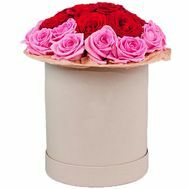 In addition, the round box, as a symbol of infinity and perfection, emphasizes the natural magnetism of the flowers themselves. 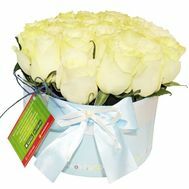 Delivery of flowers across Ukraine from our store is the fastest and most reliable. 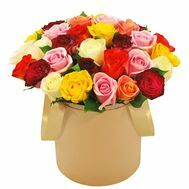 Here you can order flowers with delivery to any city, village or even a small village. 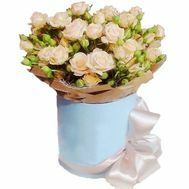 Experienced courier service will find any address and will present a present on time. 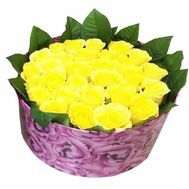 Also we provide 100% quality guarantee for all created bouquets and compositions. 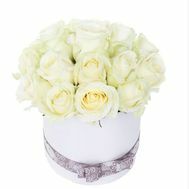 On our site you can view beautiful photos of recipients who are already happy with our gifts. 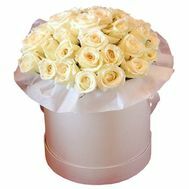 On request, we can make a photo and with your order, as a guarantor of quality service. 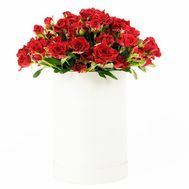 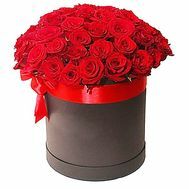 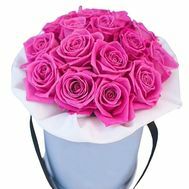 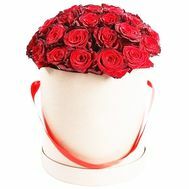 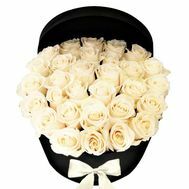 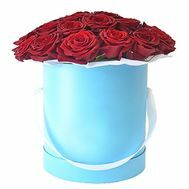 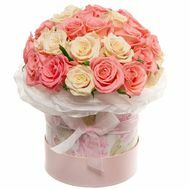 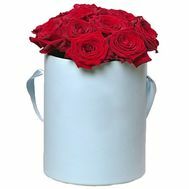 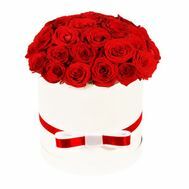 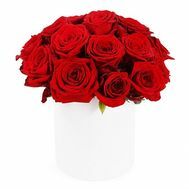 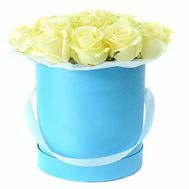 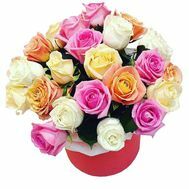 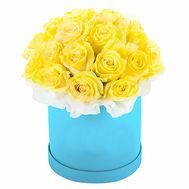 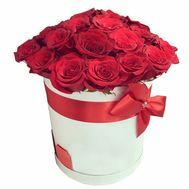 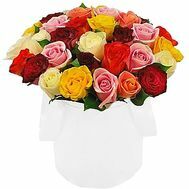 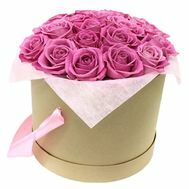 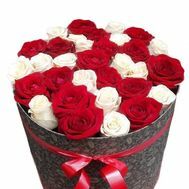 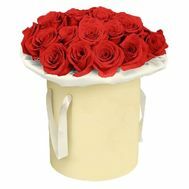 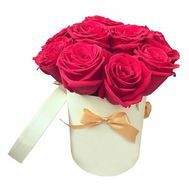 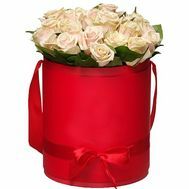 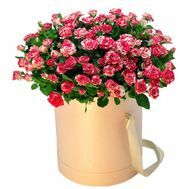 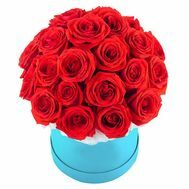 To order roses in a round box is easy: just visit our site, arrange delivery, and, perhaps, take part in a pleasant promotion.